The Rosneft tie-up provides Bob Dudley and his team with an answer to the constant question being asked by investors: where are BP's replacement reserves going to come from? Find out what homes are selling for near you, get an instant valuation of your own home as well as local rental prices. 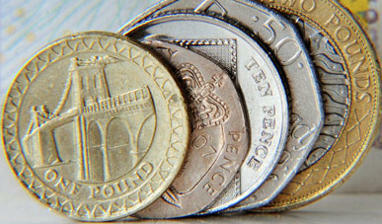 See how the pound's faring against a host of different currencies, as well as how they compare with each other. Get a free report into five 'sleeping beauties' - stocks set to explode into life in 2011. Energy prices are soaring, compare providers and deals and you could save up to £525. Using the right credit card can save you hundreds of pounds and even earn you rewards as you spend. Compare hundreds of credit card deals now. You don't need to put up with rubbish rates and poor service any more: Switch to a new bank now. Compare the best savings accounts for you and read savings guides. You can protect your family and loved ones' futures with life insurance of £150,000 for as little as £1.15 a week. Get quotes and compare prices now. Quotes are delayed except where indicated otherwise. Delay time is 15 minutes for the London Stock Exchange. Click here for delay times to other exchanges. Fundamental company data provided by Capital IQ. Historical chart data and daily updates provided by Commodity Systems, Inc. (CSI). International historical chart data, daily updates, fund summary, fund performance, dividend data and Morningstar Index data provided by Morningstar, Inc.